We’re featuring all of the gems used in our new collection on the blog to give you the story and inspiration behind our pieces, accompanied by original drawings from Jessica. 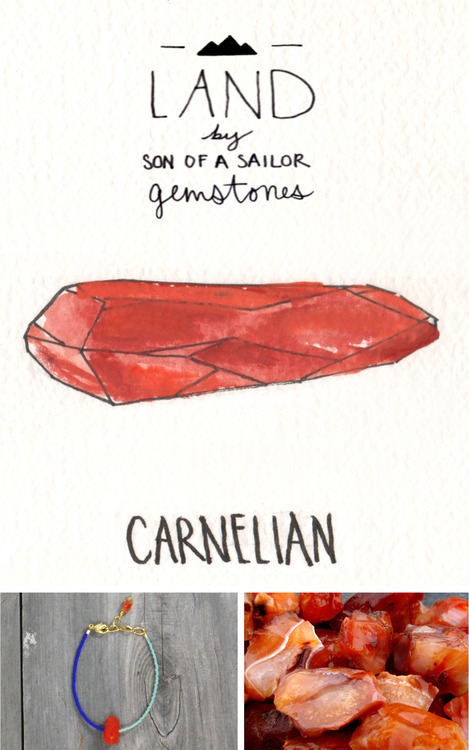 Last week we did chrysocolla, next up is carnelian! 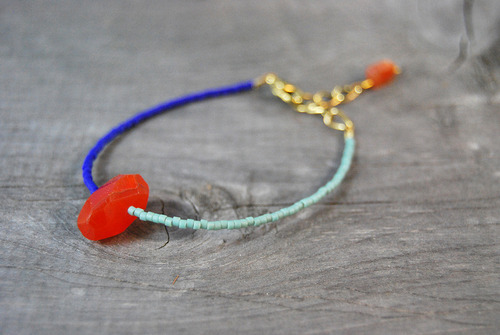 Carnelian is beautiful and exotic, both in stone and in name. 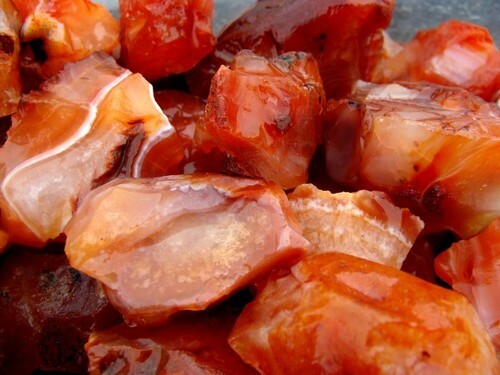 It’s a brownish-red mineral used as a semi-precious gemstone, and is a variety of the silica mineral chalcedony. It’s found most in Brazil, India, Siberia and Germany, and can range from a pale orange to almost black. In 2014 we’re putting it in our Col bracelet, meanwhile the ancient Romans were using it for engraved gems or rings with seals. The stone was perfect to accompany engraving and setting because hot wax doesn’t stick to Carnelian. Where does the name come from? Carnelian is based off the 14th century word “cornelian” which is based itself off a Latin word describing a translucent red fruit.